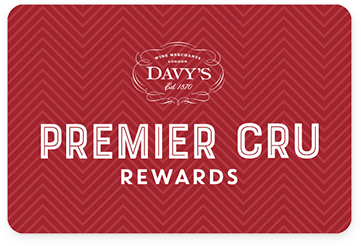 Premier Cru Rewards - Purchase this today and earn 58.5 points to redeem for free wine and gifts. Le Difese is one of the little brothers of Sassicaia and was first produced in 2003. Made with 70% Cabernet and 30% Sangiovese, it is aged for 12 months in French and American oak barrels previously used for Guidalberto and Sassicaia and a further three months in bottle. The aim is to produce a Super Tuscan wine with good structure and extremely supple tannins. Vibrant red and black berry fruits with violet and herbal notes. Good structure on the palate with round tannin and good length. Italian still red wine from Bolgheri in Tuscany Italy made with Cabernet Sauvignon and Sangiovese. Sassicaia, produced at Tenuta San Guido, was the first Super Tuscan wine ever made. In the 1920’s, the young Marchese Mario Incisa della Rocchetta dreamt of producing a ‘thoroughbred’ of the wine world. When Mario arrived in the area in the 1940s, he recognised similarities in climate and soil between Bordeaux and the coastal vineyards of Bolgheri, firmly believing that Cabernet Sauvignon could reach the same exalted heights there as Bordeaux Grand Cru Classes. He started to experiment with French grape varieties, and results from Cabernet Sauvignon grapes were so good he decided to focus on this variety alongside Merlot, something completely new in Tuscany at the time. For 19 years this revolutionary wine was kept hidden at the Tenuta San Guido estate for the consumption of friends and family. Marchese finally released the first Sassicaia, meaning “place of many stones”, commercially in 1968 as an IGT. In the 1990’s this reputation was consolidated when Sassicaia was awarded its own DOC of Bolgheri Sassicaia. It is still the only Italian wine from a single estate to have a DOC of its own. View our selection. The 90 hectares of vines are planted with Cabernet Sauvignon, Merlot, Cabernet Franc and Sangiovese. The first wine is usually aged in French oak barrels for 24 months, followed by a few more months in the bottle. Sassicaia (first wine), Guidalberto (second wine) and Le Difese (third wine).